Posted on April 5, 2014 | Comments Off on My Chicken Coop Is My “Nest Egg” A Million Dollar Chicken Coop! Here is a quick story about wealth from Blue Star Ranch. What if you wanted to make money in this economy but can’t earn an income and its not due to any fault of your own? maybe its where you live, or your health, or current family situation….? 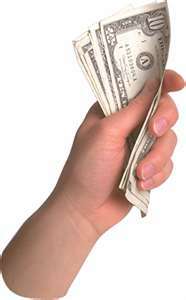 What ever your reasons for making an income is up to you. 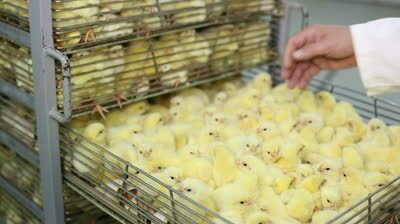 If you set out to do it correctly a small to medium poultry operation can make you rich.. or broke! I’ve made many mistakes raising chickens along the way I corrected my mistakes and now all my efforts are starting to pay off to my surprise. I came to a realization how “rich” I have become a few months back and hesitated sharing this information until now because I do not want my actions to be mistaken for greed. If you read to the end of this article, there is an “eggciting” ending waiting for you. If you need to make an income and don’t have any job prospects, or you are limited to staying at home maybe a poultry business in your backyard is what you need. Let’s add to this YOU CAN HAVE A MILLION DOLLAR LIFESTYLE WITH CHICKENS IN YOUR BACKYARD!!! So now I will tell you how you can make MONEY with your chicken coop and a small, medium, or large poultry business. First, get the image of large homes, boats, race cars and gold and diamonds out of your mind. This is not the kind of riches I’m talking about. BUT I am talking about a nice steady income that exceeds what a million dollars can earn for you in interest earned from your bank account. REAL riches are much much more than material things, sadly many people are still not aware of this yet. The most important riches that I own is FREEDOM. Freedom from the daily grind of answering to a boss, society and a daily commute to a brick and mortar building and a J-O-B. These things I’ve had over the last 40 years. Finally I’m FREE…. Lets talk about the MONEY or material riches that I know you may be wishing I’d get around to eventually so I will do just that. I have put money LAST because this is where it belongs. LAST. Money is a tool. Nothing more or less. A tool to be used. Learn how to USE money and not let it use YOU. How are some ways to make a living with your chicken enterprise? There are eggs that can be sold, meat for food as well. 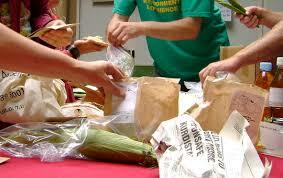 You can sell live chickens or chicks, poultry manure or compost, or make a garden with the compost and sell the food. Lets talk more about STUFF…. Barter! Swap! Trade! With chickens for meat, eggs or live poultry you can trade for almost anything! In bartering chickens or eggs I have traded for items that we need. In fact I do not need to buy many new things at all. This is a page to my “trading post” I’ve traded for furniture, a nice watch for my husband, appliances for my daughters new home, clothes for my family, school supplies for grand kids, sports items, televisions, DVD players, movies, video games and systems, food frozen or fresh.. and the list just goes on…Most people nowadays have storage rooms and garages full of “stuff” which becomes worthless to them when hard times are hitting. If fact as a side note, the cash and real value of a laying hen in 2014 that can produce $1,000 in eggs over a few years is going up exponentially. During the Great Depression many families depended on farm animals like chickens, pigs and cows for their very survival. So chickens can be sold for cash, traded, used for meat, eggs, barter….chickens were actual MONEY to most families in the depression era. Newsflash! chickens are a valuable commodity in 2014 too. So where is the million dollar lifestyle? Why its in your chicken coop that’s where! Add all of these ways to earn income up. Do they add up to $2,500 a month? If you are raising chickens correctly then you could easily have an income that is in this monthly range. $2,500 is not to hard to create if you are running your poultry business correctly. So where is the million dollar income? Did you know if you have ONE MILLION DOLLARS IN THE BANK and the bank pays you 3% interest on your one million dollars that you will earn annually $30,000 on that account? Now, divide $30,000 by twelve months $30,000 / 12 = $2,500 per month… a $2,500 income per month on average from all sources of your chickens/sales/food savings and barter is the same as having a MILLION DOLLARS IN THE BANK! What made me think of “riches” was one customers diamond ring…. Such a real sweet lady arrives in a very valuable Jaguar or Mercedes car..with her husband (I drive a 1988 Chevy pick up to haul feed!) She and her husband both are endearing and charming people. But yet these RICH people need my help! Me? someone that raises chickens. As I’m loading chicken compost/manure into a feed bag for her coop. (its VERY important to have the right kind of bacteria, too clean of a coop can make your chickens SICK) I notice her beautiful diamond ring flashing in the sun as she is holding the feed bag, and I shovel the compost/manure into the bag…. perspective? Rich is just a state of mind. This “rich” lady needs ME! 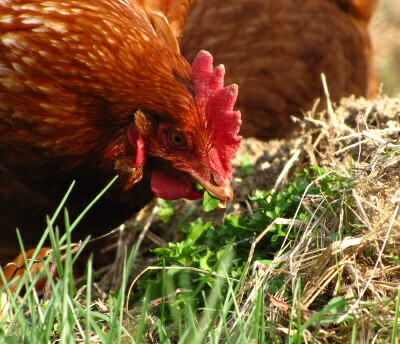 I go back to my chicken coop, she takes her chickens and goes back to her world… Being rich is just perspective. This entry was posted in agriculture health. Bookmark the permalink.